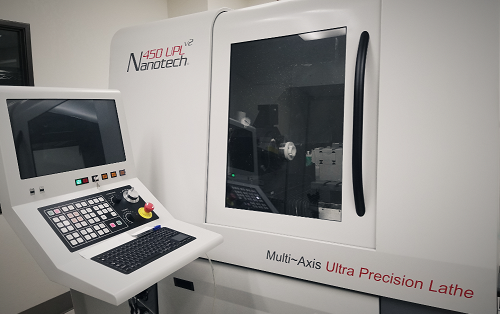 One of our fabrication capability lines is diamond turning for IR lenses (Ge, Si, CaF2, ZnSe, Cleartran, Al, Cu). 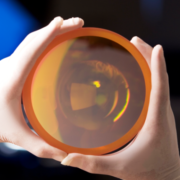 They cover FLIR imaging applications ranging from 2-16um used in a wide variety of markets such as electro-optics, aerospace, defense, and commercial industries. 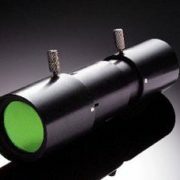 With the latest generation of Nanotech’s 450UPLv2 (3 axis), Lambda is able to support all your IR needs as a complete package including High-Efficiency FLIR coatings from 2 to 16um. This system offers a 400mm diameter swing capacity great for large size diamond-turned optics from 1mm to 400mm, Irregularity (1/2 Fringe for Ø 150mm) <1/2 Fringe up to Ø 150mm, and Surface Roughness to 30 Å RMS.